As part of our maintenance program, every month we offer monthly pest control. This will ensure that not only that your unit stays clean and but also that your belongings remain undamaged. 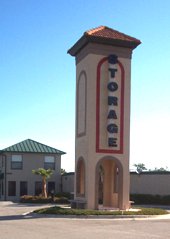 Contact us at (386) 676-5050 or (888) 330-9087 for great prices on our variety of clean and modern storage units.